Each person responds to news of terminal illness in his or her unique way. You, too, will have your own response, be it fear, excitement, anger, loss, grief, denial, hope or any combination of emotions. Becoming aware of how you respond right now is to discover how you will live with your terminal illness. Don’t let others prescribe how you feel; find people who encourage you to teach them how you feel. After all, there is no right or wrong way for you to think and feel. Even children deserve to be told. As with all people, children can cope with what they know. They cannot cope with what they don’t know. Be honest with them as you explain the situation in language they will understand.Ã‚ Don’t overexplain, but do answer any questions they may have. When people are seriously ill, we tend to get caught up in statistics and averages: How soon will the illness progress? How long do I have left? These can be helpful to know, but they don’t always provide spiritual and emotional comfort. Many of us grew up believing, ‘Do it on your own so you don’t have to depend on anyone else.’ But confronting a terminal illness cannot and should not be done alone. As difficult as it may be for you, you must reach out to your fellow human beings. Most of us know who we feel comfortable turning to when we are under stress. Whom do you turn to? Give yourself permission to reach out for prayers, support and practical assistance. Hospices are an indispensable resource for you. They are well-staffed and trained to help both the dying person and the dying person’s family. 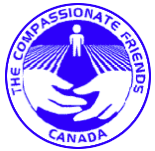 Their mission is to help the dying die with comfort, dignity and love, and to help survivors cope both before and after the death. They often offer support groups for people with life-threatening illness. You might also consider seeing a counselor one-on-one.